Deep semantics explains how the use of natural language influences human behaviour in all its domains. As it turns out, the phonetic structure of each word root in any language symbolizes an abstract template. In a fully functional human being, this abstract template is subconsciously converted into a practical concrete template that can be used to manage a specific human function in a certain domain. Many such templates have been presented and discussed in the past for the domains of emotions, cognition, economics, and others. In this paper, the author will demonstrate that the manner in which emotional templates are utilized by a person (his emotional choices) determines how concrete templates are generated from word roots for cognitive functioning and for all other aspects of human behaviour and personal development. There is no doubt that understanding how human language works must play a key role in understanding how human intelligence works. However, linguistics, psychology, cognitive science and artificial intelligence (AI) rely simply on the shallow semantics of natural language for developing models of human thinking, emotions, and behaviour. Unfortunately, shallow semantics only examines the surface meanings of words and expressions without even looking at the meanings of the sounds that make up words (e.g. see how the expression “a cat sitting on a mat” is analysed in Figure 1 and Figure 2 in: Sowa, 2011). Deep semantics, on the other hand, explores the deeper meanings of words and expressions by also incorporating the meanings of the phonetic elements of words (e.g., the roles that the consonants “c” and “t” play in forming the meaning structure of the word “cat”) (Adi, 2007). A review of major AI systems in light of the developments of the last quarter century in cognitive science and computational linguistics leads to the conclusion that—despite spending hundreds of millions of dollars and tens of person-centuries of work—AI systems have failed to reach significant cognitive goals such as being able to read, write, or speak as well as a child, or to acquire new knowledge by reading a textbook (Sowa, 2011). This review also concludes that the model structures (conceptual structures) of AI (that are based on shallow semantics) are not the same as the structures that people use in language processing, reasoning and emotional processing (Sowa, 2011). Shallow semantics is like studying chemistry at the level of molecules (such as sugar) without ever examining their component atoms (carbon, hydrogen, and oxygen). Such an approach is not likely to produce proper scientific models, let alone artificial intelligence. The reason for the shallowness of traditional semantics is that centuries of empirical research on the meanings of the individual sounds of words failed to produce any consistent results of practical scientific value (Saussure, 1916; Magnus, 2001). Linguists were therefore forced to conclude that people create words by randomly combining sounds (Saussure, 1916), which is as plausible as saying that molecules don’t consist of atoms. Although the sounds that make up words must play a key role in language processing, it appears that, under normal circumstances of human observation, no consistent scientific rules of the semantic use of sounds can be found in dictionaries or literary works. There seems to be a natural limit to the depth of human observation capabilities similar to the uncertainty principle that limits the precision of the measurement of the properties of elementary particles of matter. However, the author has discovered that an unusual literary work in Old Arabic systematically exposes the scientific rules of the semantics of sounds (Adi, 2007). The resulting theory of deep semantics has been validated on a very large scale in smart text retrieval (Adi, 2007; Adi, Ewell, Adi & Vogel, 2009; TREC Conference, 2000; Voorhees & Harman, 2000; Adi, Ewell & Adi, 1999 & 2000). 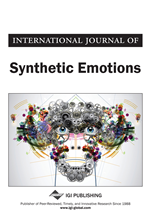 A new theory of emotions was developed using deep semantics and published with complete proof as a chapter in the handbook of research on synthetic emotions and sociable robotics (Adi, 2009). A universal modelling system and templates for many domains of human functioning were later developed on the basis of deep semantics (Adi, Ewell, Vogel, Payton & Hippchen, 2013 & 2014). Even a theory of economics was created using deep semantics (Adi & Nevers, 2014).